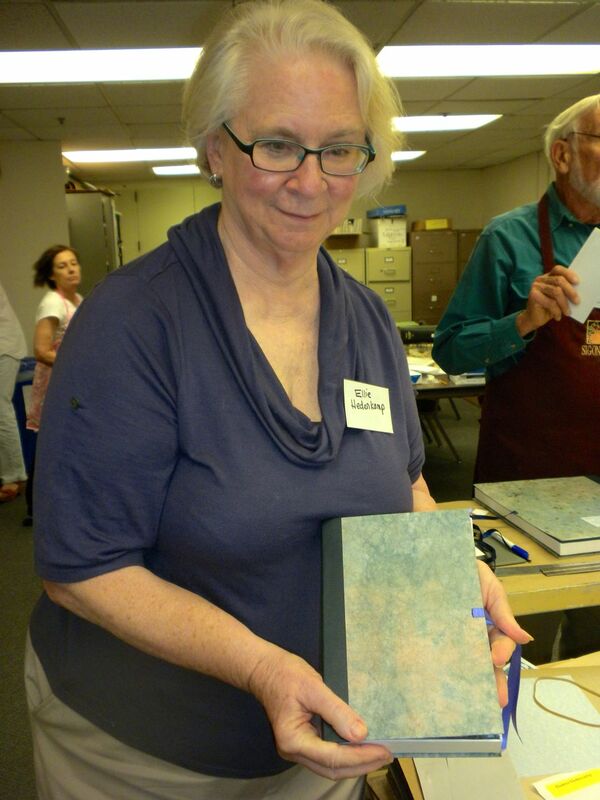 The California Genealogical Society's Book Repair Committee has mended about 3,000 books since it began meeting monthly in 1987. Several years ago, the committee's chairman, Bill O'Neil, created a workshop to teach book repair techniques which has proved to be quite popular. This fall, in addition to the Book Repair Workshop, Bill introduced a second hands-on offering. 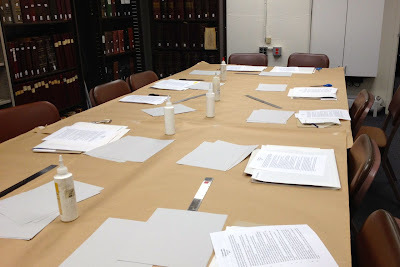 Table and supplies organized and ready for the workshop. Occasionally a book is in such poor condition it cannot be rebound. 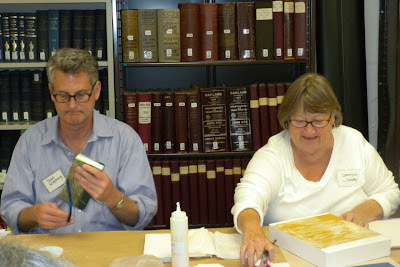 In those cases, a book box is created so the item can continue to be shelved. Bill's new workshop – Create Your Own Document Box – was held Thursday, October 18, 2012. Eleven members gathered around a work table soon scattered with the tools of the day: pencils, rulers, glue, and exacto knives. 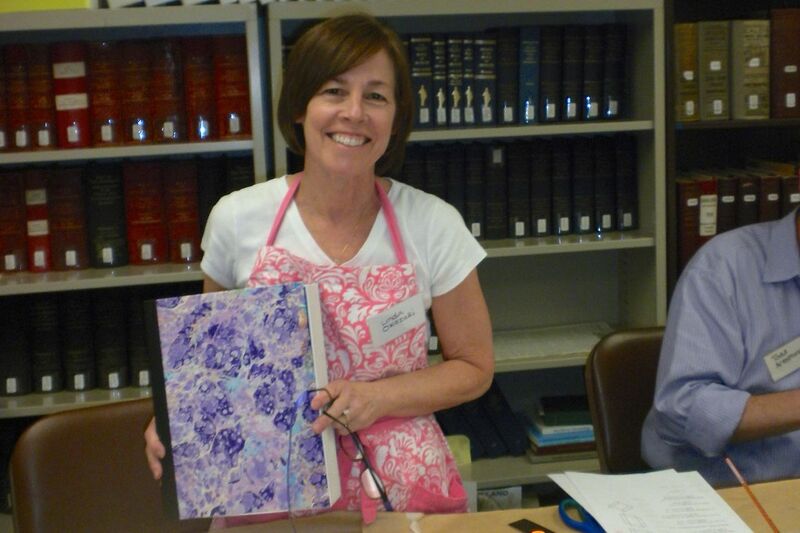 Participants each made a custom-sized and beautifully decorated box for a personal item or items. Diana Edwards, Bill O'Neil, Marianne Frey, and Linda Okazaki. As always, Bill made meticulous preparations so things ran like clockwork. 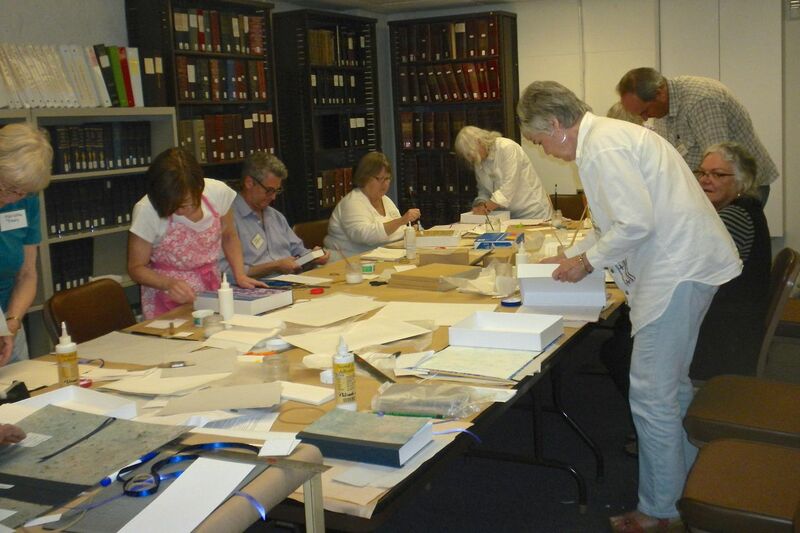 Attendees let Bill know the dimensions of their treasures in advance so he could prepare their materials. Todd Armstrong made a document box sized to fit an ancestor's civil war diary. Lavinia Schwarz and her finished book box. Attendees included Todd Armstrong, Judy Bodycote, Bonnie Dehler, Diana Edwards, Marianne Frey, Eleanor Hedenkamp, Carolynn Jacoby, Stephen LaBounty, Jane Lindsey, Linda Okazaki, and Vinnie Schwarz. 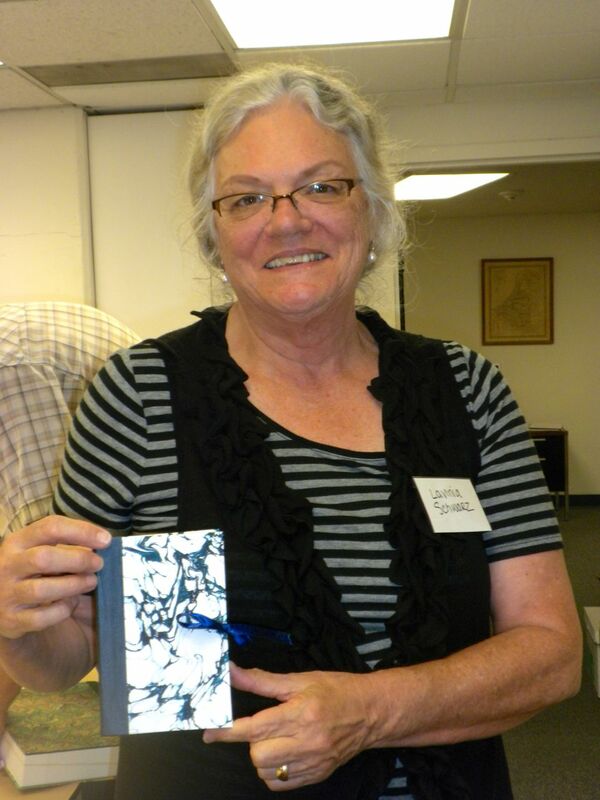 Eleanor Hedenkamp shows off her creation. 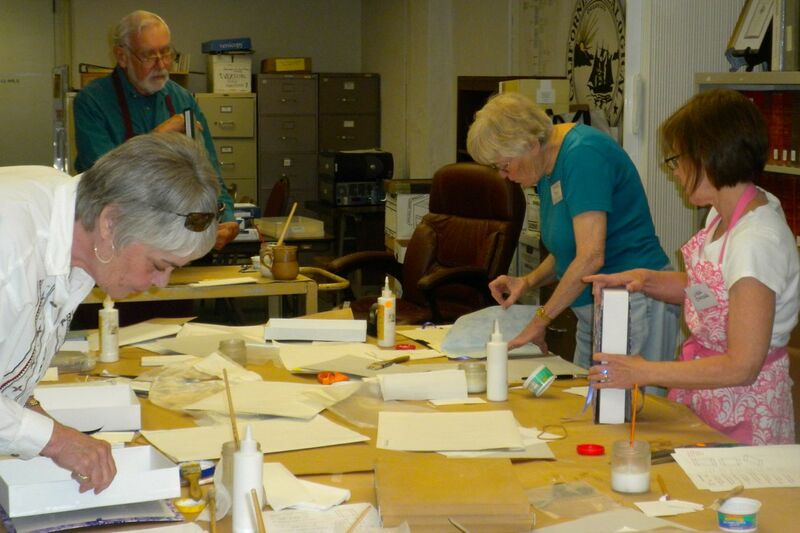 The box workshop was active and interactive with a lively group. 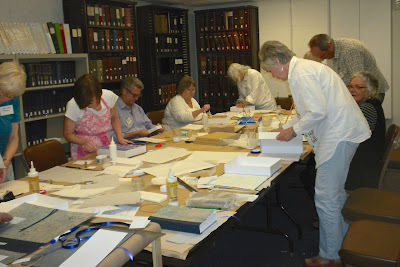 Where else can you learn to create an archival box that is beautiful and functional, and have fun in the process? It was also nice to meet some new people, both members and non members. Thanks, Bill! If this workshop sounds appealing, please consider joining the CGS Book Repair Committee. No special expertise is required – they will teach you the basics. 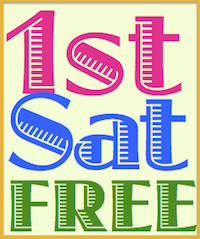 The committee meets monthly on the second Tuesday from 9:00 a.m. - 3:00 p.m. Please email Bill O'Neil if you would like to be part of his team. Photographs courtesy of Jane Knowles Lindsey, Oakland, California, 10/18/2012.